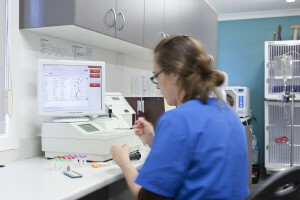 Our newly upgraded laboratory suite means we can not only get immediate results for pre-anaesthetic wellness blood screens but also there is no need to wait on diagnostics from external laboratories for sick patients where time can be vital to making treatment decisions. 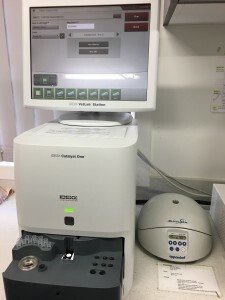 Faecal analysis: Assessment of a stool sample can help to identify parasites or abnormal bacteria, can show problems with digestion or the presence of gastrointestinal bleeding. 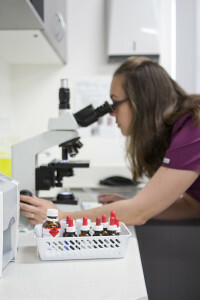 Our in-house laboratory gives us results within minutes.